Welcome to the site of Cani Kaze84 ( CK84)! This site has for objective to present you the Cani Kaze84 ( CK84 ) association. You will discover it the presentation(display) and the current events of our association. You can obtain more information on us and contact us. 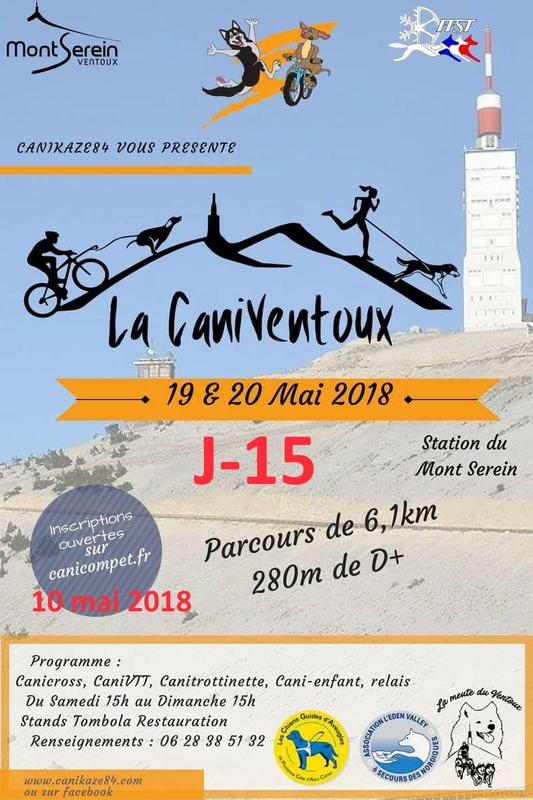 The Cani Kaze84 ( CK84 ) association is based in Vaucluse in (metropolitan) France. Cani Kaze84 ( CK84) has for object the development and the practice of the sports of sled on Snow and on earth(ground), of skjärgärd, of skipjack, mountain bike-joering, canicross, cani-walking(cani-step) as well as all the disciplines diverted with hitched dogs. The association is affiliated to the French federation of the sports of sled ( FFST), ski / mountain bike Joë boxing ring and canicross, agent with the Ministry of sports.